With Aqua Map (from GEC s.r.l.) 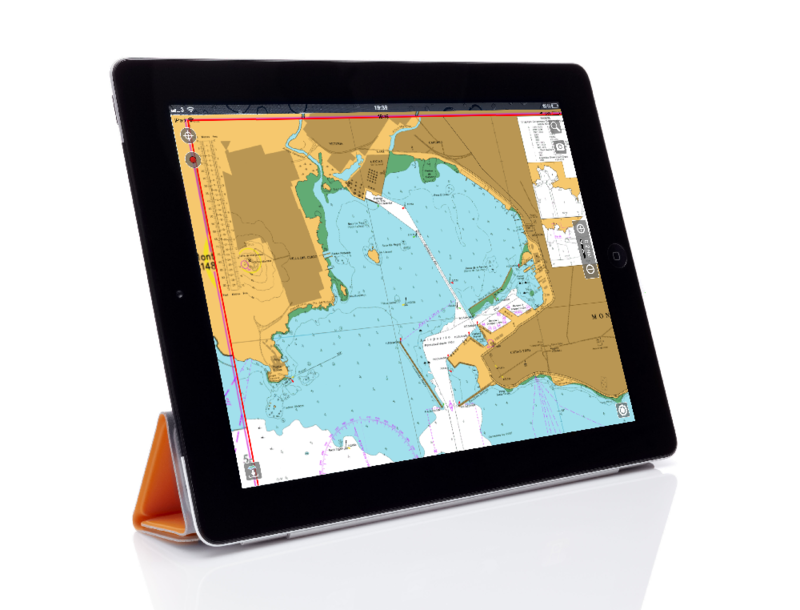 you have the opportunity to use the most detailed Nautical Charts from your local Hydrographic Office (e.g. NOAA and Corps of Engineers for US or BSH for Germany). You will have access to Nautical charts with depth contours, spot soundings, buoys, beacons, sea floor information, obstructions, wrecks, rocks, dredged areas, fishing zones and much more. 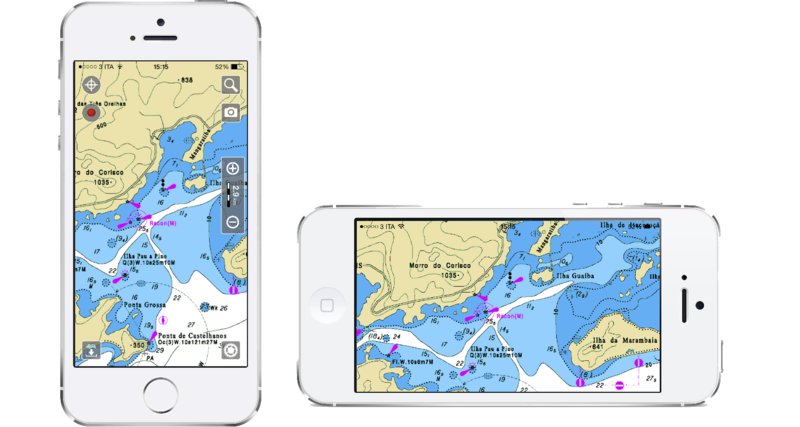 Download on your device (iOS and Android) the Aqua Map vector and raster boating maps for the area of your interest and use them OFFLINE like a real Marine ChartPlotter. NO INTERNET CONNECTION is needed once the map is downloaded on your device. 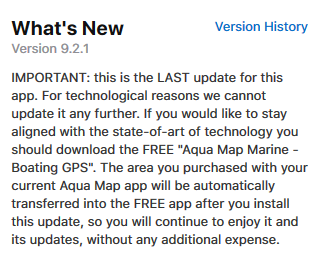 Aqua Map app will automatically notify you when a map tile is updated. 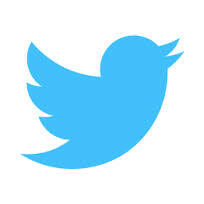 How to migrate to the FREE apps. After 5 years of continuous growt, we feel the need to consolidate our products. We have so many titles in our products list that several time the user get confused to select the best choice for his needs. With over 160 products the updating process is now a problem. 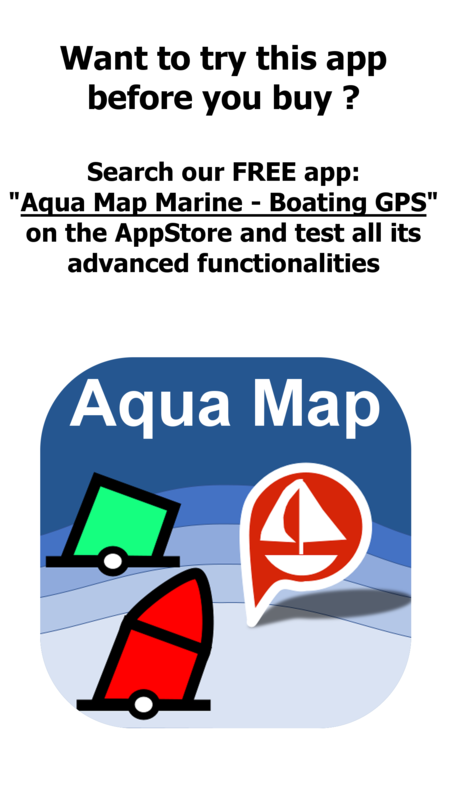 The objective is to have one single FREE app worldwide where the user can buy the Nautical charts: Aqua Map Marine FREE. That's it, once logged the app will automatically register itself on your GEC Account. 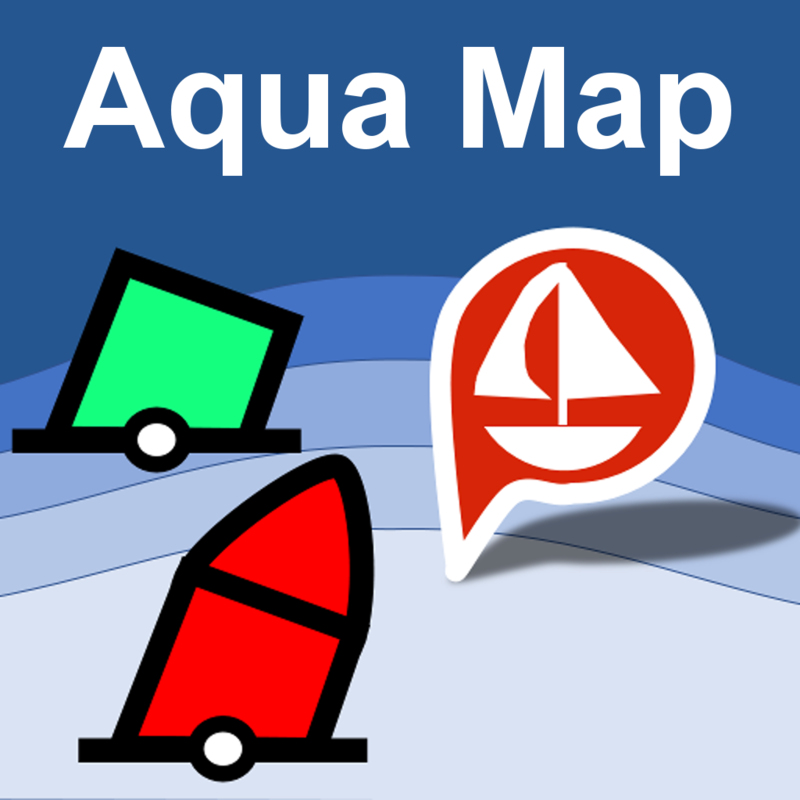 You can now login from the Aqua Map Marine FREE app and automatically get available to download all charts you previously purchased. 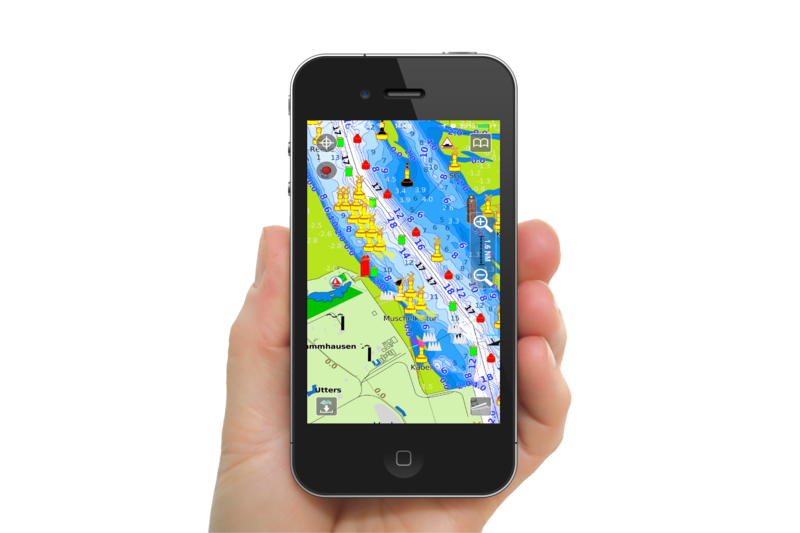 Download this FREE app to start converting your smartphone into a professional Chart Plotter for GPS Marine Navigation. As soon as you buy an area you get the PRO version removing all of the above limitation. Thru the inApp purchase mechanism you can buy any Marine area of the world listed below. There are many options for any budget: from a small area like Florida with a yearly subscription, to the complete USA-Canada (unlimited updates) with a one shot payment. The complete Argentina shoreline covered with the most detailed Boating Charts derived from the Argentina Hydrographic Service data. 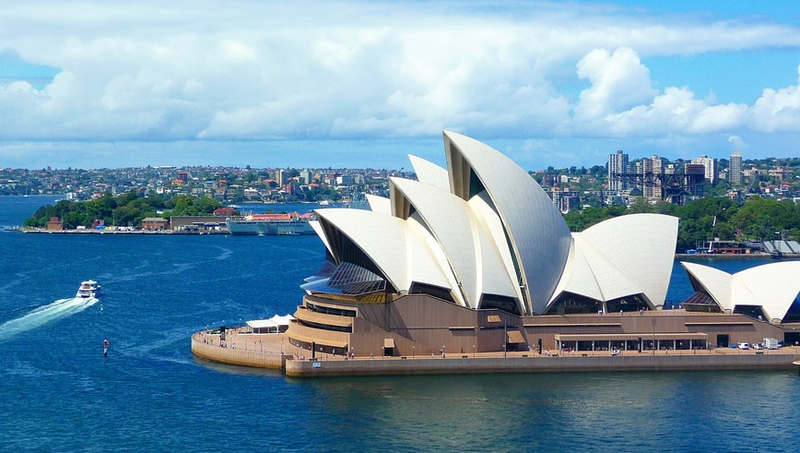 The complete Australia shoreline, Papua New Guinea and Solomon Islands covered with the most detailed Nautical Charts derived from the Australia Hydrographic Office data. The whole Bahamas area covered with the best available nautical charts from Explorer Charts. Explorer Charts is considered the best nautical charts to sail on the Bahamas area. Full of details, suggested routes, waypoints, hazards and much more for a great navigation experience. The whole Brasil marine area, with the most important navigable rivers, is included in this product using the best Nautical Charts derived from the Brasil Hydrographic Offices data. 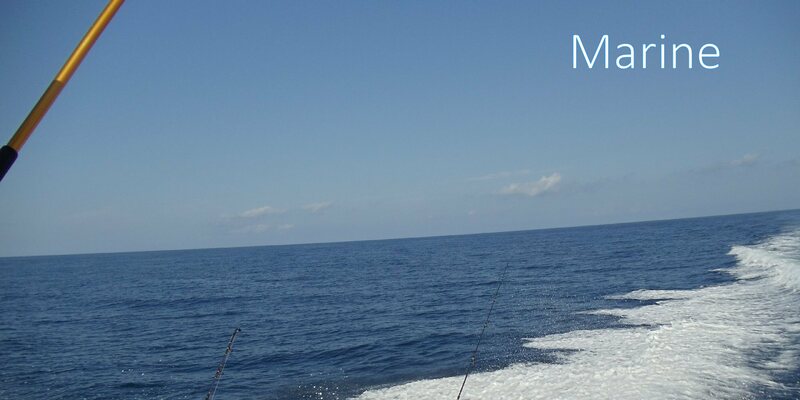 Best boating and fishing experience! All Nautical Charts derived from the Bundesamt für Seeschifffahrt und Hydrographie (BSH) covering the whole Germany coastline plus some navigable rivers. All Nautical Charts derived from the Bundesamt für Seeschifffahrt und Hydrographie (BSH). 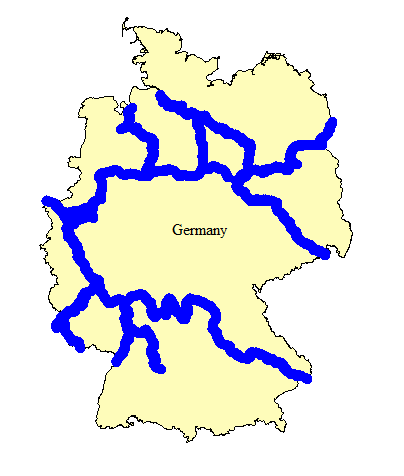 This product includes some of the Major Navigable rivers as listed below. 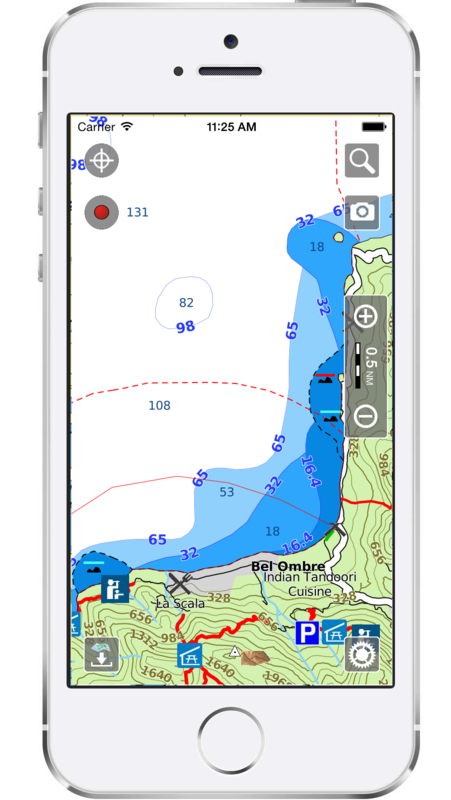 The most detailed Boating Charts derived from the Koninklijke Marine (Hydrografie) and Belgian Hydrographic Office (Flemish Hydrography) data merged into a seamless map for the best offshore navigation and fishing. This product includes inland navigable Canals and also on-land information like roads, elevation contours and Points of Interest. All the most detailed Boating Charts derived from the UK Hydrographic Office (British Admiralty) data. 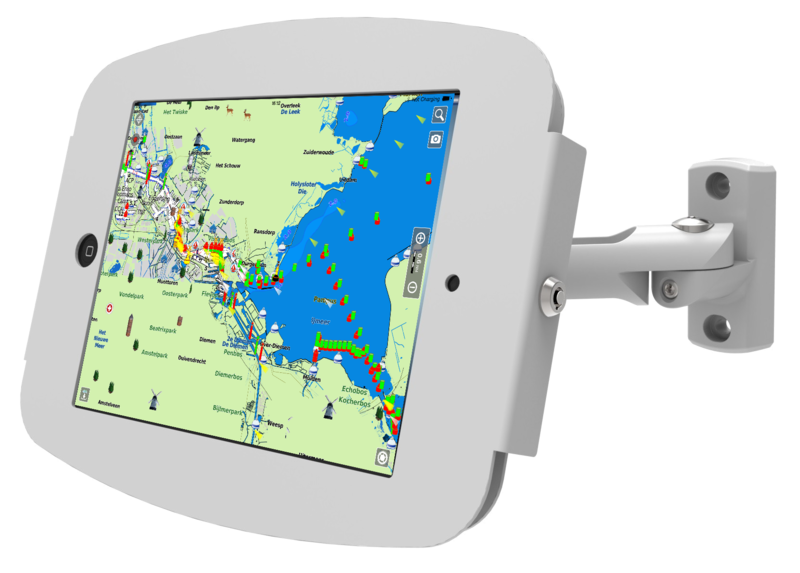 This Marine GPS product includes also on-land information like roads, elevation contours and Points of Interest. All the most detailed Nautical Charts derived from the South Africa Hydrographic Office data. 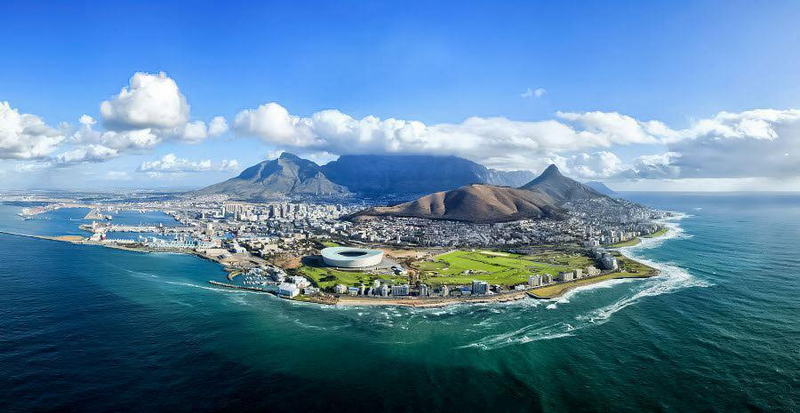 This product covers the entire South Africa and Namibia shoreline.